Here are a few quick pics of Riveting, from the CG Hunger Games collection. This one seems to be the most popular one with Luxe and Lush. I agree it is GORGEOUS! 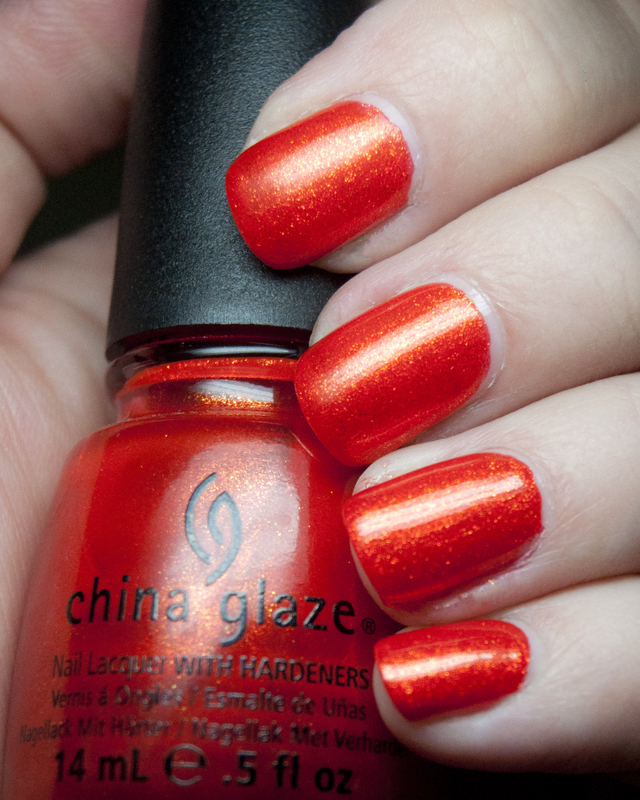 A fiery orange with gold shimmer throughout. 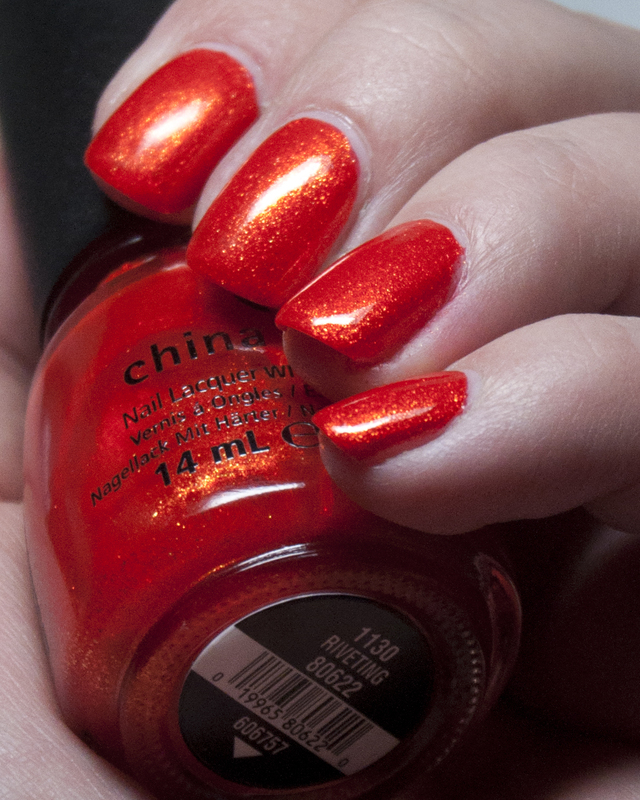 I have never been much of an orange person when it comes to polish but I am just loving this to no end. outside in the sun - look at the gold! view full size to really enjoy it. it is on fire! The formula is amazing and it went on in two easy coats. I hope you are all having a wonderful day! I am soaking up the sunshine here!